Surrey Welfare Rights Unit (SWRU) is a member of Citizens Advice. As a member of Citizens Advice we agree to work within a specified membership framework. At SWRU we collect and use your personal information to help solve your problems, improve our services and tackle wider issues in society that affect people’s lives. You can check the main Citizens Advice policy for how the national service handles your personal information. personal information – for example about family, work, or financial circumstances. We need this for giving benefits advice. If you ask us to act on your behalf we might need to share some of your information with other organisations – we’ll always tell you when we do this. For example if we contact HMCTS about your benefit appeal we will need to give them personal details in order to discuss your case. In most cases these third parties will be the statutory organisation that is dealing with your case (DWP, HMRC or the local authority), the County Council or the organisation that referred you to us. If we refer you to another organisation for more advice, we might share information about your problem with them so they can help you more quickly. We will ask your permission before doing this. Some of your information might also be kept within our secure email (Microsoft 360 Cloud) and IT systems. Emails and locally held computer files are password protected. If you have used our service for advice we keep your information for 6 years. If your case has been subject to a serious complaint, insurance claim or other dispute we keep the data for 16 years. If you have applied for a job with us we keep recruitment information for 12 months. Emails between you and the SWRU adviser are stored within our office email system. These are kept secure and kept for 6 years. We do not live record phone calls. If you are giving your consent verbally over the phone we will make a record of this when we record your enquiry on our case management system. Some other Citizens Advice services store and share your information in different ways. If your service isn’t listed here, there’s nothing extra we need to tell you. If you’ve been referred to the Citizens Advice Debt Management Service, find out more about how they use, store and share your personal information. If you’ve been referred to the Citizens Advice Debt Relief Order (DRO) Team, find out more about how they use, store and share your personal information. If you’ve been referred to the Citizens Advice Witness Service, find out more about how they use, store and share your personal information. If you’ve been referred to Pension Wise, find out more about how they use, store and share your personal information. You can also raise your concern with the Information Commissioner’s office. 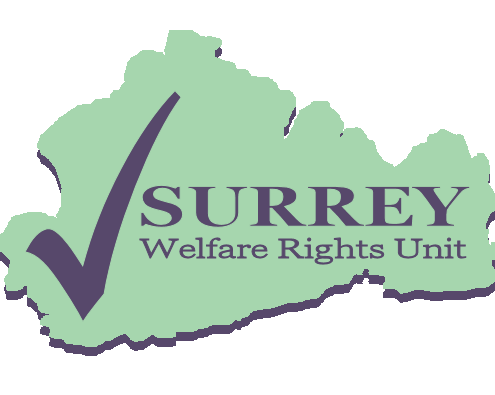 Surrey Welfare Rights Unit is the data controller for your personal information. The national Citizens Advice charity and local Citizens Advice including Surrey Welfare Rights Unit operate a system called Casebook to keep records of the advice we give. Citizens Advice and Surrey Welfare Rights Unit are joint data controllers of the Casebook system.